CleanWorld’s Chief Technical Adviser and inventor, Dr. Ruihong Zhang, will be presenting “Transforming Food Waste into Green Energy and Biofertilzers” at the Research & Development Roundup panel at 3:30 pm on November 19th. 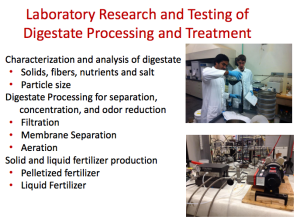 Researchers will share key findings from leading-edge research projects that are paving the way for the future waste conversion technology development. 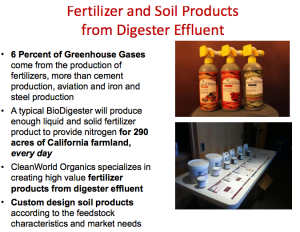 Of particular note, CleanWorld is continuing to advance its research and development work in the comparative use benefits of digester effluent on crops and fields as compared to dairy manure and other materials. This presentation will specifically explore the latest research efforts and lessons learned from both Dr. Zhang’s university-based research and CleanWorld trials. For complete conference information, please visit REW’s website.